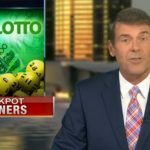 Cryptocurrency Lottery Websites – Are They Scams? One thing in the world that is constant is change. Change in all aspects including the field of lotteries. In the past, lotteries were played using hard currency but as time went on, online lotteries were introduced which meant the use of digital currencies to win jackpots and participate in lotteries. Today, lotteries have incorporated the use of cryptocurrencies especially with the ever-increasing popularity of cryptocurrencies such as the Bitcoin, Litecoin, Ethereum amongst others. Cryptocurrency lotteries are actually becoming a thing. First, because cryptocurrencies are very safe and secure, some people prefer using them. Another reason why people like cryptocurrency currencies has to do with the issue of privacy. Most people who play lotteries are always worried about privacy. They are generally not comfortable with giving their personal or banking information to others especially online. Cryptocurrency lotteries do not need those bits of information. They do not require the creation of an account, winnings are paid instantly, they require lower fees and do not have any restrictions on location. All you need is your Bitcoin address and you are good to go. They however require that players be above 18 years of age and have a valid email address. 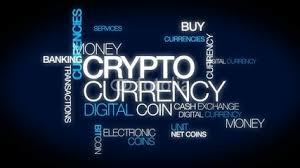 Some types of cryptocurrency lotteries include bitcoin lotteries, Ethereum lotteries, Litecoin lotteries and so much more. 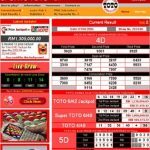 The websites below are some examples of crypto lottery websites which are trustworthy and fair based on reviews of players. Here, a live lotto takes place for five minutes each day, during which lucky numbers are dropped during an event which is streamed live. There is a serial number for each edition and these serial numbers are used to settle bets. Participants can bet on the outcomes of the betting offers presented until the start of an edition. This lottery is a simple game with prizes based on daily draws. It requires just an email for registration and tickets cost only 0.00025 BTC with 5 numbers from 1 to 24. Each player choses a ticket with 5 numbers. The maximum jackpot is more than 1.7 BTC with players who match 2 or 3 numbers winning free tickets. Here, three winning tickets are selected from the lot who will get the prices. 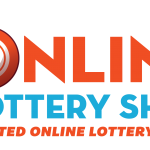 Lottery tickets are cheap at 0.0001 BTC per ticket with one draw per week which takes place on Wednesday. Here, there is only one winning ticket with a total of 600 tickets in total. Each ticket costs 0.009 ETH ($2.84). The winner of the lottery earns a jackpot of 5 ETH (about $1,600). This lottery uses Bitcoin blocks to pick its winner and can be verified using its source code. Other trusted crypto lotteries include Fortune Jack, Cloud Bet, Vegas Casino and Mbit Casino just to name a few. It should be noted that there are a lot of crypto lottery websites some of which are not legit. 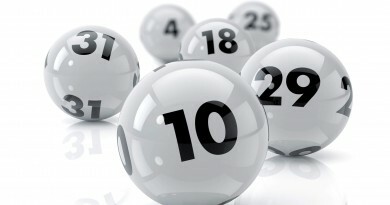 It is important to know that lotteries are generally based on trust be it crypto lotteries or other online lotteries. Not only are there lots of reviews on crypto lotteries but also, the designers of these lotteries are aware of the fact that people don’t really trust them 100% so they do their best to make the lotteries as fair and transparent as possible as they know that any negative impression will kill the lotteries forever. Also, it is important to make research and find trusted cryptocurrency lotteries. There are scams no doubt but a majority of these lotteries are legit. Finding a good crypto lottery is based in large part on the number of positive reviews given to the lottery by players. 2018 Spanish el Nino Lottery Draw Coming Up Fast!